* Make new friends! Living and studying abroad in Germany is a great way to develop international friendships that last a lifetime! *Improve your German! While abroad, you not only go to school in Germany, but you will live with a German family... and nothing betters your language skills than having to figure out how to ask your non-English speaking host mom things like "What's your wifi password" or "What time is dinner." *Experience Germany as part of a family! Living with a host family builds bonds and strengthens your independence. The family will take you in and treat you as one of their own! During GAPP, every effort is made to match "brothers" and "sisters" with similar interests. *Visit amazing places! While abroad you will visit sights you've only seen in your textbook or on the internet. While on GAPP, we visit many points of interest and host families generally take time to show their visiting "son" or "daughter" the area. 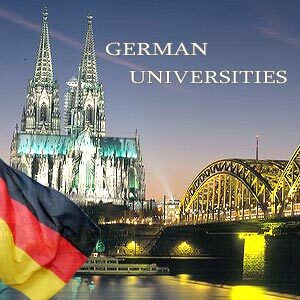 How can you get to study abroad in Germany??? 1) Join the next EHS GAPP trip to Eggenfelden, Germany! (see GAPP Exchange Trip tab or use the link below for more information) OR talk to Frau about a long-term exchange - you could live and go to school in Eggenfelden for 6 months to a year! 3) Congress-Bundestag High School Year Abroad: The U.S. State Department funded Congress-Bundestag Youth Exchange Program (CBYX) is for motivated high school students who want to fully immerse themselves in German culture by living with a host family and attending a local high school. No previous language experience is required. 4) The Lions Club Youth Exchange Program will give you a scholarship to travel to Germany in the summer! Stay with a host family, learn about German culture, and make new friends! See the website or Frau for more information. 5) Graduating this year? Try for the Congress Vocational Scholarship and spend a year abroad working!! 6) Summer courses in Germany are offered through the Goethe Institute. You can choose programs by location, cost, and/or class length. Such a cool experience! Interested in going to college in Germany??? ​. . . that for international students Germany is the most popular host country after the United States and Great Britain?
. . . that you can train for some 330 vocational programs in Germany?
. . . that you can study for an internationally recognized Bachelor or Master’s degree in Germany? LINK: Study in Germany in 10 Steps!